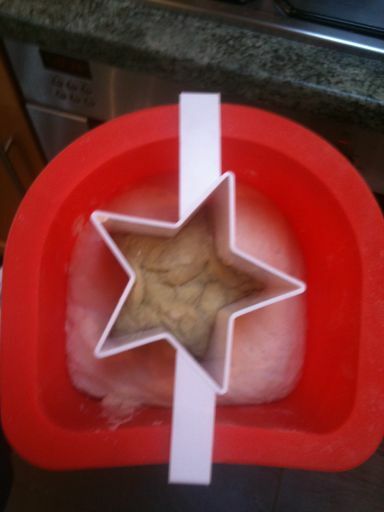 We were sent a Doodle Bread Making kit to try out. It’s a very clever product and I think it would be a great gift idea. We had great fun making it. Any negative comments are not down to the product but ‘user error’ as I’m a disaster in the kitchen, as you’re all aware. It all comes neatly laid out for you with very clear instructions. All you have to do is add a bit of water and oil. So, I’m not sure how I managed to mess it up! I’m not very confident in the kitchen, so when I cook I follow recipes word for word and if there is anything missing disaster strikes. So, I followed the instructions and whacked in 200 ml of water, which resulted in more of a pancake mixture than a ‘soft chewing gum texture’. So I had to add more flour to get the texture right. I think this is where it all started to go wrong. I’d recommend adding a bit of water at a time until you get the right consistency! 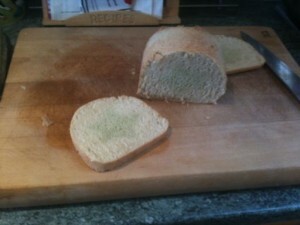 Since I’ve never made bread before I didn’t realise that room temperature was important for it too rise. It’s below zero here today. I had a slight panic attack because it wasn’t rising. However, thanks to a lovely friend on twitter, I tucked it into the airing cupboard, amongst the sheets and towels, where it is nice and warm and it started to rise. Phew! At one point I was a bit worried as Madame was very excited and kept asking me every 5 minutes if it was ready. Luckily, it all worked out in the end and we got to enjoy warm fresh home-made bread smeared with a generous amount of butter. Yum! All in all I would definitely recommend this product. But, if you get the opportunity to choose colouring I would go for something with more contrast as we had trouble seeing the star in ours. When I was asked to review the new Peppa Pig – Happy Mrs Chicken App for Iphones, by P2 Games, I jumped at the chance as I love apps and Madame loves Peppa Pig. So without, further adieu, here is Madame’s Verdict. Parental Note: When I first had a look at the app I wasn’t convinced of the educational value as it didn’t have the usual elements of learning colours, numbers, sounds etc. However, as you can see, it’s great for fine motor skills, hand-eye coordination and problem solving. Overall, I would recommend this app and as you can see Madame love it as well. Prior to agreeing to review Bush Tales by Matthew R Jameson, a multimedia collection of 12 stories rooted from the legends and Folklore of Africa performed by West End stars, I had a quick look at their website. Madame was transfixed immediately, so I agreed. 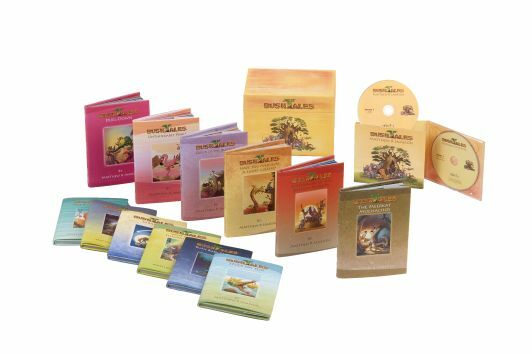 We haven’t listened to the CD yet, as I’m too lazy to load it into I-tunes but we have read the Bush Baby Chorus Book and watched almost all of the stories on DVD. I was a bit worried that the language was a bit beyond a 3 year old but this didn’t take away from her enjoyment. She loves the musical scores and the beautiful illustrations. She keeps saying ‘I want to watch another one’. My personal favourites are Unthinkably Pink and the Meerkat Muchachos. It’s a wonderful way of introducing children to Classical Music, something which we may not have done otherwise. 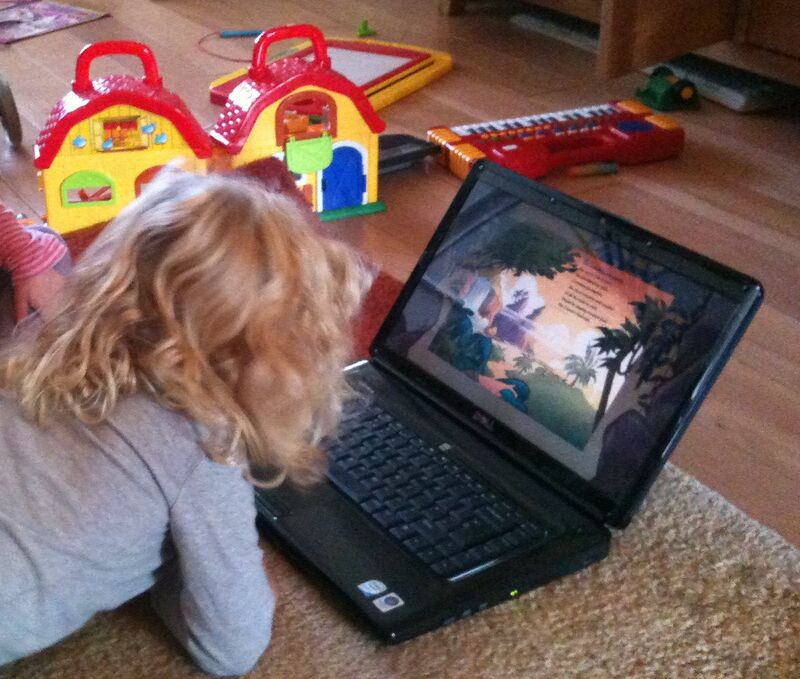 I’m really looking forward to getting my hands on the Unthinkably Pink Bush Tale Games and Story Book app. We had a small hiccup with I-tunes codes so I’ll have to get back to you on that one. When Trevor from www.hellobabydirect.co.uk first sent me the Potette to review I was a bit unsure as I thought we’d cracked potty training. However, after our holiday to Bude and all the upheaval with elderly in-laws at the moment, we’ve gone a few steps backwards with potty training and have had quite a few accidents. When Madame first spotted the colourful Potette she wanted to use it straight away and couldn’t wait for me to get it open. It was fairly straight forward to put together. Funnily though, after the first time she used it there was big puddle on the floor. I thought there must’ve been a hole in the absorbent bag but I checked it and there wasn’t. It only happened the once, so it wasn’t a problem and it wouldn’t be the first time she missed the toilet. It has proved to be incredibly useful. My husband often takes her cycling on the weekends and they end up in places without loos. It fits nicely into his back pack and she’s not averse to weeing alfresco! As a family, we’ve been known to frequent the odd pub or two! I know this comes as a great surprise to you ;-) In the past when it was hubby’s turn to take her, he often found the men’s loos were disgusting, to say the least, so it has come in very handy. I wish I would’ve bought a Potette from ‘the get go’ instead of lugging the silly one around from Ikea. I haven’t tried it on the big loo as we already had installed one, but it would have saved us a bit of money if we had just used the Potette. A few of my friends have shown interest in it and even though they have boys and it’s pink and purple, they want to borrow it. The only negatives I found about it are I’m a bit heavy handed and when I go to erect the legs I always end up pulling them right off and it would also be nice if it came with more than 3 absorbent liners. But, all in all I would recommend it.